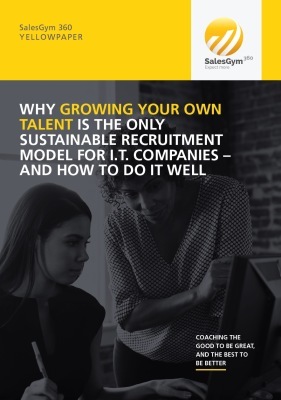 In this Yellowpaper we detail the benefits that a well executed "Grow Your Own" talent strategy can bring, and share some insights and best practices on how to go about it. 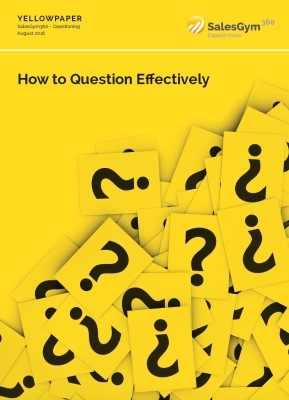 In this Yellowpaper we look at 34 great questions to ask customers, and explore why they are effective in helping to qualify whether there is a potential deal on the table or not - and how soon the deal will close. 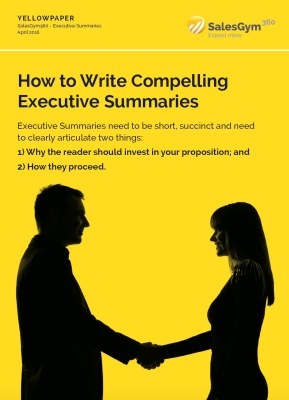 In this Yellowpaper we look at why it is important to structure Executive Summaries in a particular way, what the structure should be - and what good looks like. 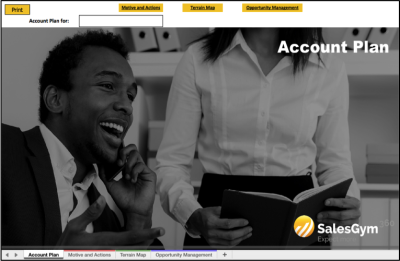 This Account Plan is easy to use and designed to capture the minimum amount of information necessary for a salesperson to effectively manage their account. Whilst intuitive, users are welcome to contact Sales Gym 360 for a walkthrough.